Two years ago I really got interested in Minecraft. Obsessed, perhaps. I played independently for a while and suffered the fear and anxiety that the single player campaign dumps onto new players. And then I started a server. It's hard not to know what Minecraft is - the game has been sold 8 million times and is the most played game on the Xbox 360. What started as an independently coded (yes, parents, Minecraft was originally made by a single programmer!) PC sandbox has become a phenomenon that has a greater impact on gaming than Angry Birds. 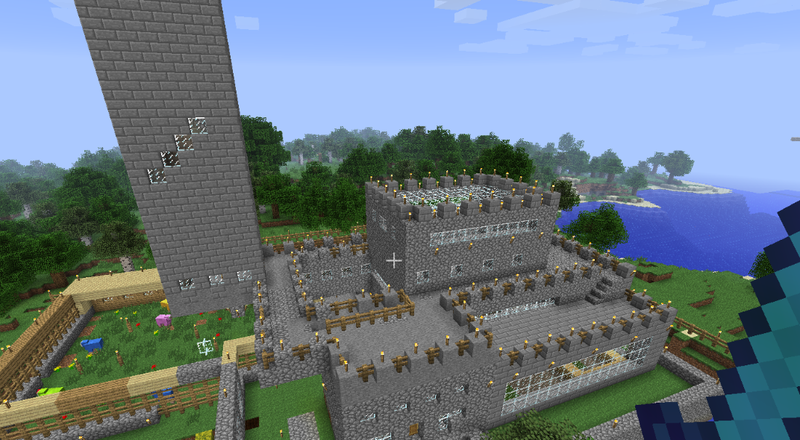 Minecraft is available for the PC, Mac and Linux, as well as iOS, Android and Xbox 360. And if that's not enough, it's also available in Lego. There's an entire community built around Minecraft - insanely dedicated players and modders. There are hundreds of texture packs, game modifications, custom maps, skins - just about anything a player could want to customize the game. Sites are devoted to everything from free gameplay servers to streams of people currently playing the game to how to fabricate simple machines. There's even a blog by Joel Levin about using Minecraft in education, appropriately titled "The Minecraft Teacher." Minecraft is an open world sand castle game - that is, a game that allows players to interact in a non-linear way with the environment (that's the open world part) while allowing players to manipulate every piece of the landscape (that's the sand castle part). In many ways, Minecraft is more of a toy than a game, as the goal of "survival" can be dwarfed by the play and creative aspects. There are monsters (mobs) to defeat, however, and even in multiplayer games there is an endgame that can be achieved (I won't ruin the surprise). I thought that I would only participate in Minecraft as a single player experience. I didn't want to play with strangers and none of my friends had the game. 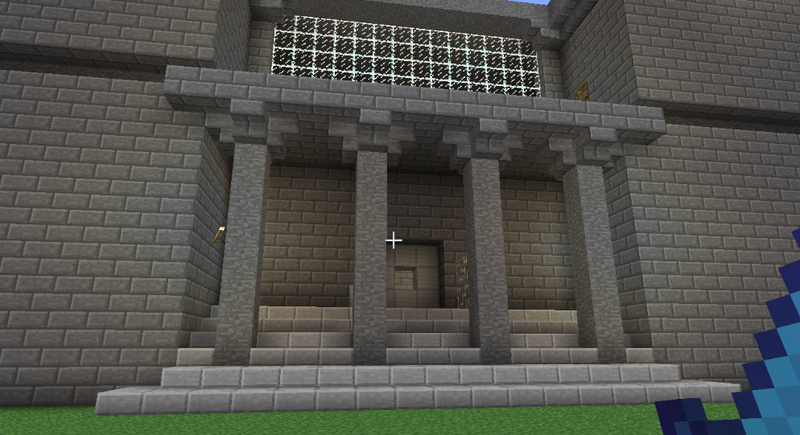 Then I decided to create a server for iD Tech Camp. The server was mainly for instructors during the off season, but it ran all of 2011. That changed the way I participate in Minecraft entirely. The experience of building and creating structures with other people was amazing. Every time I logged in, there was something new and fantastic to discover - whether it was castle or a cavern or a tower or a floating representation of the iD logo! 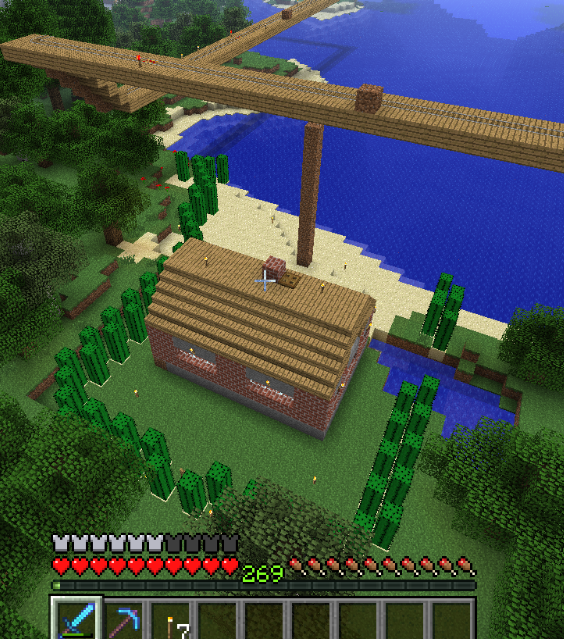 Since then, I've administered another server for my family. We have six or so regular players that have been exploring, altering and creating a world for the past year. There are some amazing creations! My nephews are so dedicated to the server that our only topic of conversation is Minecraft, which can be a bit overwhelming at times (all of the pictures from this entry are from that server)! Minecraft has evolved from an indie game into an artistic tool for communities to come together and create. Whether the project is artistic, story-based or a logic-centered machine, players of all ages can find pleasure within the halls of Minecraft. In the summer of 2013, iD will even teach a 3D game design course using Minecraft - let me repeat - THERE IS AN iD TECH MINECRAFT COURSE. If there was ever a course that will sell out at every camp without question, this is that course. It's not only a great way to learn about game design, modding, and constructing, it's an excuse to play Minecraft, which is all most of us need. In fact, since I am writing about Minecraft, I think I deserve a nice long play session. Until next time!